Simple wisdom, quotes, tips and stories. Much of it focuses on relationships and mental health and wellbeing. You can subscribe to a daily email. This is another site full of tips mainly about getting you motivated, whether that’s to improve your work/career or perhaps to become more healthy. If you want to change something in your life, this is a great site and again you can get free daily emails. This site is the home of American gynaecologist Dr Christiane Northrup. She has written some great books on women’s health, and she has a strong belief that how we feel really affects our health. She is a great ambassador for living a joyous life, whatever your age. Her latest book, Goddesses Never Age, is on my book-list! I’m not much of a TV watcher, but I love TED talks for many reasons: fun, education, inspiration. Or just go to www.ted.com and explore. Donna Farhi has written some wonderful yoga textbooks (Yoga Mind, Body and Spirit: A Return to Wholeness) and some on yoga philosophy (Bringing Yoga to Life: The everyday practice of enlightened Living). I like her approach to yoga and often incorporate her teachings in my classes. 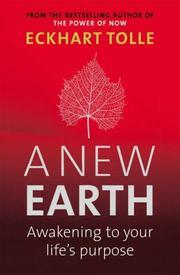 Eckhart Tolle, a renowned German modern-day philosopher, is author of A New Earth and The Power of Now. Since 1999 he has been writing and talking about “living in the moment”, and "being present", and finding your life’s purpose. Wayne Dyer, who sadly passed away last year, has written over 40 books on changing your life, finding success, abundance, and manifesting your life’s goals. Wishes Fulfilled: Mastering the Art of Manifesting is a great book to start on. Louise Hay was probably my first foray into the links between health and the mind. The classic You Can Heal Your Life is a great book to dip into.